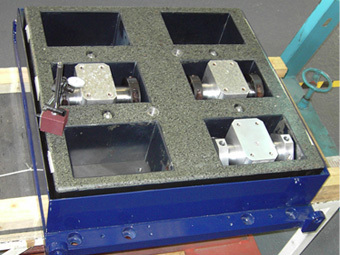 CVMSL specialise in the supply, rebuild and repair of bearing guided slip tables for all models and manufacturers. The hydrostatic and low-pressure bearings can be either manufactured from new or refurbished using the customers existing bearings. 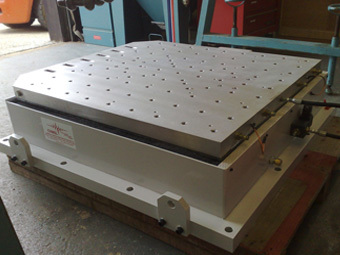 New slip tables can be supplied in various sizes, thickness and shapes, with the customers required matrix fixing hole pattern. 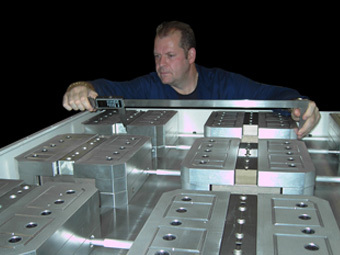 CVMSL also refurbish standalone ‘T and V’ bearings from Team Corporation and supply a new type of hydrostatic bearing called the ‘T Film’ bearing used to test very large and heavy structures such as spacecraft and related hardware.